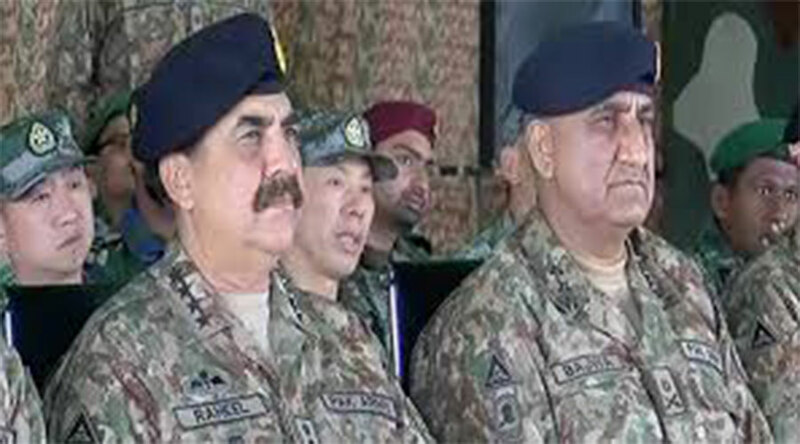 Pakistan/ Gen.Bajwa Vs Gen. Raheel - Retrospect ..
As the Pakistani nation has bid farewell to highly respected and loved Gen. RaheelShareef and celebrates the incoming Gen. Bajwa as the new Army Cheif, he faces a great challenge in filling the boots of his predecessor. Gen.Bajwa has asserted that the War against Terrorism waged by the Pak Army on several non-state terror groups will continue in full fervor. But the nation will now look at his each step with caution amidst rumors that perhaps he is the right-hand man of PM Nawaz Shareef. A few days earlier, on Dec. 6th, the Adviser to the PM on Foreign Affairs Sartaj Aziz told the Senate that the Govt. could not finalise a dossier on captured Indian spy Kulbhushan Jadhav because of inadequate evidence provided so far. All this after recorded confessions by Yadev & his proven records with RAW. This can be seen as the first U-Turn in Pakistan's Foreign Policy that had been otherwise laid on strong footings in the previous Army Chief's tenor. On the other today India's NIA has filed a charge sheet against JeM chief Masood Azhar and his affiliates for the Pathankot Attack. Pakistan itself deems JeM as a terrorist organization, so the issue is not as simple as right or wrong here. The real issue is that India under the Modi Govt. has set the 'bashing of Pakistan as a terrorism aiding & generating state' as a loud tenant of its foreign policy. And in contrast to that PM Nawaz seems inclined to pose a friendly & weak foreign policy with India/ these two extreme behaviors do not bade well for the integrity and security of Pakistan,now and in the near future. If Pakistan needs to put to trial India's enemies the same is required from the Indian side. But what we see is India's quick and repeated denials of their proven interference in Pakistan & in return their wanting Pakistan to get to its knees & do their wish-fulfillings. Right now Pakistan's problem is a lame-duck PM & a lame-duck Army Chief will only double our misery.